The Overview Report gives the instructor the option to view all the courses they teach together, and the current average grade for the course. 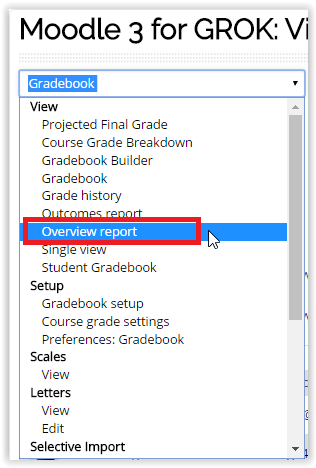 Instructors can also look up a students overall grade for their course within the Overview Report. 2. 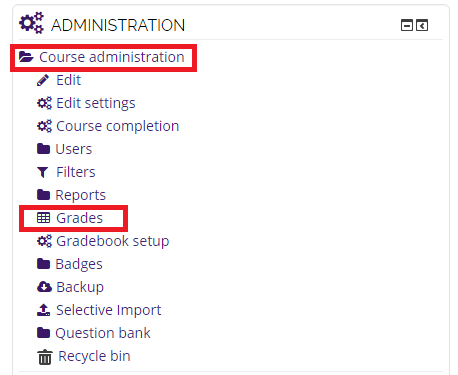 Click on Course Administration - Grades under the Administration block. 3. In the drop down menu, select Overview Report. 4. The generated report will show a list of courses and average grade for each course.